When you dive into the enchanting worlds of Hayao Miyazaki‘s Studio Ghibli Films like Spirited Away, Princess Mononoke and My Neighbor Totoro, you’re enjoying fantasy worlds that were established by an early success in the mid-1980s, just as Ghibli was getting started. The film Nausicaa of the Valley of the Wind was released just before Ghibli was formed, but it serves as a template for imagination and female heroism that survives to this day. The film came about five years after Miyazaki’s directorial debut, the strange and haunting Castle of Cagliostro. Following that film’s commercial floundering, Miyazaki began work on a manga that became the Nausicaa story, finding immediate success in Animage magazine. 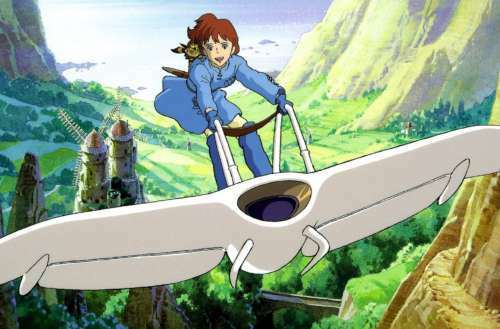 The studio Topcraft was chosen to produce an animated adaptation, on the condition that Miyazaki be allowed to direct. At the time, there were a limited number of issues of the manga, which required a fleshing-out of the story as storyboarding proceeded. The entire production went at a breakneck pace: it took just nine months from start to finish, and cost only $1 million — an extremely low budget for a film that would go on to become a beloved classic. As is always the case, the English translation of the film was controversial. In particular, scholars have pointed out that the English adaptation tends to downplay the power of nature with animals called “good boy,” a term implying domestication, instead of the more animist “good child” employed in the Japanese script. 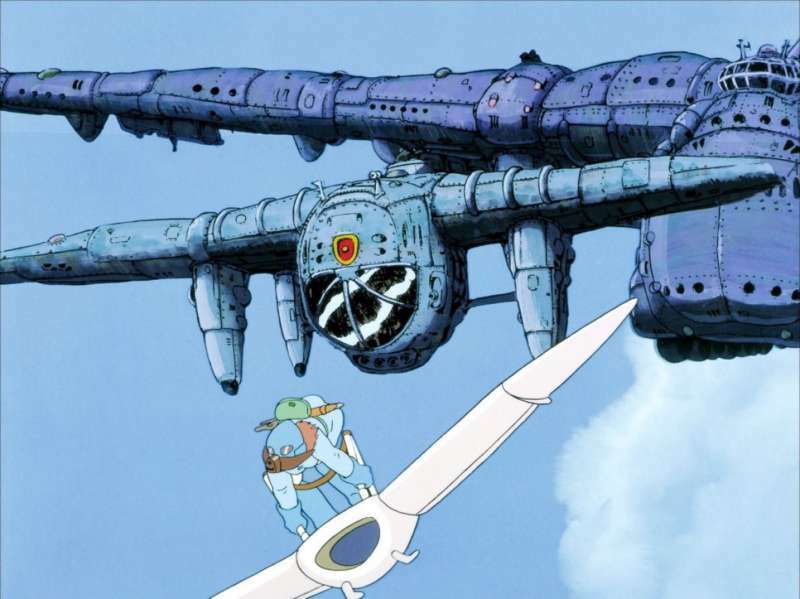 The English Nausicaa is driven to protect humanity, while the Japanese version is a guardian of nature. Still, that’s a far better situation than the original release faced. The film’s first American distributor changed the title to Warriors of the Wind,” cut nearly a half hour of footage, mistranslated lines, and falsely advertised situations that didn’t even appear in the film. 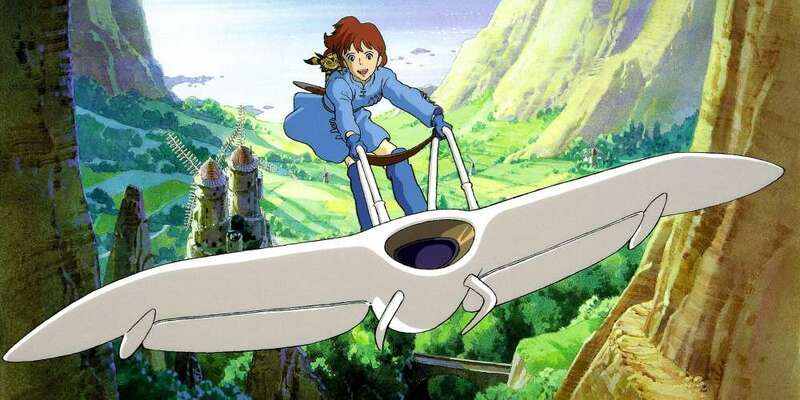 One of Miyazaki’s trademarks is evident from the beginning: fantasy airships, in this case taking the form of single-person gliders. Called “Mehve,” the vehicles are derived from the German word for “gull,” and since the film’s release, engineers have constructed working versions. The real-life versions are jet-powered and functioning versions have been in existence since 2013. The movie was an instant success, and is often cited as having changed the course of Japanese animation. Following the acclaim, Miyazaki and his collaborators were able to open Studio Ghibli, dedicated to high-quality films that followed the template of fantastical worlds, bold young heroes, and brave women. Among the works influenced by Nausicaa: Final Fantasy, which based Chocobos on the horseclaws of the film. And games like Crysalis, Metal Slug 3 Cyber Core and Viewpoint all have creatures similar to the giant hard-shelled Ohmu. It’s hard to imagine what anime would be without this foundation film that set the tone not just for future Ghibli masterpieces, but for games, manga, and anime for decades to come. When fans think of Japanese media, many of the visual idioms they imagine can be traced back to Nausicaa — thanks to the tireless work of Hayao Miyazaki. 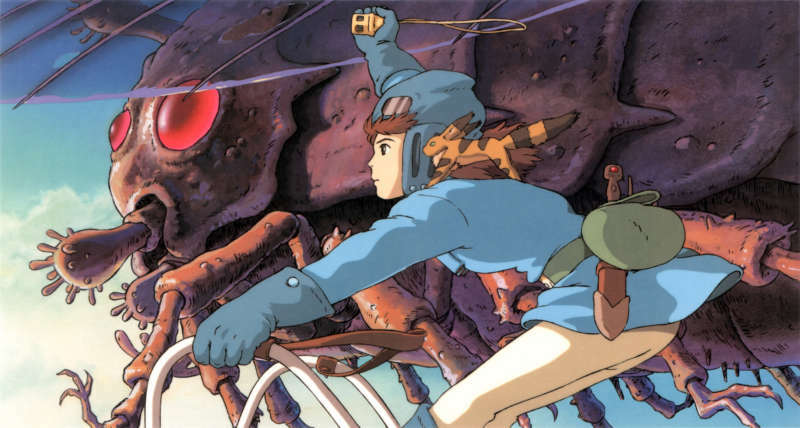 Is Nausicaa of the Valley of the Wind your favorite Hayao Miyazaki film? Let us know in the comments.